Some will say that Angelina Jolie has lips to die for, but not everyone is happy sporting big natural lips. Lips are no different to any other body part in that what suits one may not necessarily suit another. Some women with huge breasts opt for reduction mammoplasty. And other women, and some men, look to lips reduction surgery to reduce the size of their big lips. In this piece we take a look at lip reduction options and procedures and run over some frequently asked questions. Not every woman with big lips thinks they give her a sultry, luscious type of look. In fact, they may even make her self-conscious, embarrassed even about her big pout. Sometimes a big bottom lip can be out of proportion to the top, resulting in a look that others may tease her for. In general though, ribbing about someone’s facial features is the stuff of youngsters, though not always. 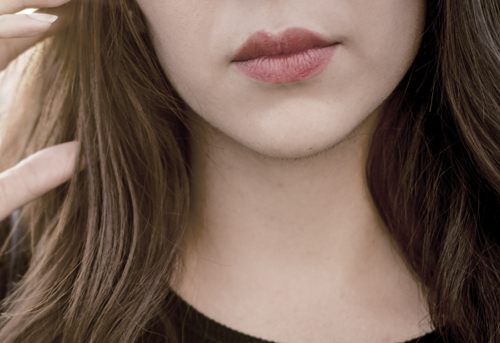 Whatever your reasons for wanting to reduce the size of your lips, or lip, surgery might be an option you want to consider. If it means you get to feel more relaxed about your overall appearance, then it will be money well spent. The most important thing of all is for you to have a definite idea of the way you want to look. It’s also important to have realistic expectations. That means you need to understand any limitations there might be with the outcome. A qualified surgeon will go over all your options with you at your one-on-one consultation. To begin the procedure, your surgeon makes an incision along the length of the lip. Don’t worry this cut is on the inside of your mouth so there’s no visible scarring. Depending on the look you have gone for, the specialist will remove a strip of your skin from the top, bottom or both lips. The aim here is to augment your lip and mouth area in a way that harmonises with your other facial features. The end result should be a natural, more softened looking mouth as agreed at the consultation. The look you want will not fully materialize until your lips have healed. For some time after surgery you can expect to see some degree of bruising and swelling. This is quite normal after this type of surgery, but how much swelling and bruising you experience all depends on your reaction to the treatment and the extent of the surgery. Although most of the swelling and bruising will go down within a couple of weeks or so, the final results will not settle completely until about three months. Because of the swelling, it’s possible that your lips will look even bigger after surgery than before it. This shouldn’t come as a shock to you as your doctor would have covered such things during the consultation. Any invasive surgery needs a little recovery time. This not only means time to heal but also the recovery procedure. Put another way, there are certain things that you as the patient must do, or not do, until the swelling and bruising has gone down. For the first 10 to 14 days you will need to keep your head slightly elevated when you sleep at night. The best way to achieve that is to simply sleep with two pillows under your head instead of one. The general advice is to give yourself one full week after the surgery before you return to your usual routine, but not contact sports. You don’t want to tempt fate. If you do partake in any form of contact sport, you will want to stay away from participating for at least 6 – 8 weeks after surgery. During the three month period it takes for your lips to fully settle, you will want to have periodic check-ups. The first checks will most likely be with the surgeon that performed the lips reduction surgery. After that, you may only have to see one of the qualified nurses at the clinic. There are not usually any complications with this type of surgery, but check-ups are still necessary to make sure everything is progressing nicely. Fortunately, this is a routine type of surgery that has very little incident of complications. Whatever the potential risks are, your surgeon will go over them with you at the consultation. Every case is different, which is why the consultations are so important. If you have any questions of your own, make sure you take them along. To finish this piece, we will look at a few of the frequently asked questions that potential patients want answers for. 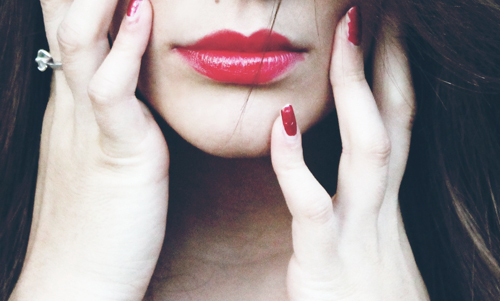 Who is eligible for lip reduction surgery? Any woman or man who has oversized lips that bothers them to the point where it’s affecting their life by causing undue anxiety or stress. It’s a surgery for anyone who wants a “permanent” new and natural look. What do I need to know about this kind of surgical procedure? The surgeon will explain everything you need to know about the procedure and post-op care at the consultation stage. Each case is unique and may require a different approach. Your surgeon will also need to know what your expectations are. They will discuss in some details whether they can realistically achieve your hopes. It helps if you know exactly what you want out of this surgery before you make an appointment. Failing that, you can explore your options at the meeting. How much will my lip-reduction cost? That’s a question that the surgeon can only answer at the consultation. There are no secrets or hidden fees. It’s just that every case is different. For example, do you want one or both lips worked on? The amount of reduction necessary is another factor. Some people will need a little extra work too, like lifting a drooping bottom lip or realigning lips that turn outwards. That’s about it. All that’s left is to make a decision to go ahead with the surgery, and then find a qualified doctor who can help to transform the way you look forever.